If you haven’t already seen the video of the Bugatti Chiron breaking a new speed record, . Astonishingly, the hypercar managed to in just 42 seconds. The eagle-eyed among you will have noticed that there are quite a few tracking shots of the Chiron reaching breakneck speeds in the video. 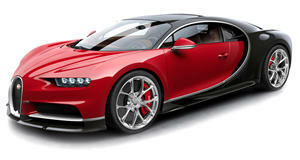 Some have even suggested that Bugatti faked the record. After all, how on earth do you film a record-breaking Chiron driving at 249 mph?